The Corporal Matthew Edwards Legacy Foundation will hold the first Hero Run 5K and Kids Fun Run on Friday, July 24, at Heritage Park. The foundation seeks participants and donors to honor the late Cpl. Edwards on the fifth anniversary of his EOW (End of Watch). The event will offer a 5K run, fun run, merchandise for sale, hot dogs and Mountain Dew (Matthew's favorites) and bounce houses. The organizers challenge those participating to wear a super hero custom. The run will go outside the park, past the Taylor Police Department and the Wall of Honor in the Cameron Priebe Plaza. Register by July 22 buy clicking here. For more about sponsorships, see the attachments below. The Taylor Farmer's Market is putting out a call for all classic car owners. Its putting together a car show for Friday, July 24 -- the day before the annual Telegraph Cruise. The classic car show will be part of the "Christmas in July" theme of the market that day. Our vendors and volunteers will be celebrating the Christmas spirit in the summertime weather (and wearing Santa hats), and the market will also offer some giveaways for children. The classic car show will be held in front of the Sheridan Center Open Air Pavilion. It will be open to the first 30 cars that register. Registration is easy -- just call or email Kimber Dorton at (734) 374-1450 or kdorton@ci.taylor.mi.us. She will get you a registration form. Fee is only $10. Trophies will go to three honored vehicles. Rick Sollars will hand out the Mayor's Trophy; Thom Oullette will hand out the Market Manager's Trophy. And the third trophy will be awarded by a random visitor to the farmer's market that day. Cars will be on display in the parking lot from 1-4 p.m. All cars should arrive by no later than 12:30 p.m.
No car sales are allowed during this event. So get in the classic car spirit on Telegraph Cruise weekend. If you have a classic car, enter it in the car show. If you are just a car lover, visit the market and kill two birds with one stone. As always, the community walk around Heritage Park will begin at 10:30 a.m., starting at the Sheridan Center. The market opens at 11 a.m. and closes at 6 p.m. The car show will be held between 1-4 p.m.
On Saturday, July 25, classic car enthusiasts from throughout Southeast Michigan – and beyond – will converge on Telegraph Road for the 11th annual Telegraph Classic Car Cruise. Spanning the cities of Taylor, Dearborn Heights, Dearborn and Redford, the event is expected to draw thousands of enthusiasts between the hours of 9 a.m. and 9 p.m.
Several business owners and operators along Telegraph are planning special event-related activities – including outdoor parties/services and making their parking lots available to cruisers and spectators. Taylor businesses and organizations that plan outdoor activities along the route should remember to file the proper permits with the City. Permits can be obtained through the Customer Service Center at City Hall, 23555 Goddard, during regular business hours Mondays through Fridays. For more information, call (734) 287-6550. Spectators should be mindful of the weather conditions: Protect yourself from exposure to the sun and heat and drink plenty of non-alcoholic beverages throughout the day to remain hydrated. The event originated in honor of the Telegraph Tomorrow Association, which worked to improve and promote the Telegraph Road corridor. The City of Taylor is finalizing plans for a classic car display, emergency stations, etc. in the old Handy Andy Lot. Although nothing was confirmed as of this printing, other hot spots usually include The United Auto Workers Region 1A and Biker Bob’s. A portion of Pelham Road will be closed from Monday, July 20, through Friday, July 24, to through traffic. Canadian National Railroad is going to repair tracks in the area between Goddard and Wick. The CN track cross Pelham just south of Wick Road. Through traffic should avoid the area during that time frame. The suggested detour is to use Ecorse Road, Telegraph and Goddard. For more updates, look for them at www.cityoftaylor.com. The Downriver Community Conference, sub-contracting with Employment & Training Designs, Inc., has received funds to operate a Summer Youth Employment Program in the out-Wayne County area and is seeking immediate applicants for summer job posts.The funding for this program is being provided by the Detroit Wayne Mental Health Authority. The program is targeting 18 to 24 year olds who are interested in immediate summer employment. It will last approximately four to eight weeks, beginning immediately. Limited space is available. Participants will be paid one of the following pay rates: $8.15, $0, or $10 per hour. Interested 18-24 year olds need to go on-line to ETD’s website to download the application and follow the directions for applying. Details are outlined in the attached flyer. Attention all residents! The Junior League World Series, which is hosted by Taylor each and every year in August, is looking for plastic bottle caps to raise funds for its organization. Tournament Director Greg Bzura is seeking discarded plastic bottle caps of all brands, shapes and sizes. His organization plans to turn them in and use the resulting funds for improvements at World Series Field in Heritage Park. Donating the caps is simple: Just drop them off on the second floor of City Hall, right next to Mayor Rick Sollars' office. There will be a spot in the waiting area to drop off the caps. You can drop them off in any fashion -- dozens at a time, bags full, etc. If you are dropping off bags or boxes, please make sure that the container is sealed. If you have any questions on this campaign, please contact Kimber Dorton at (734) 374-1450 or Karl Ziomek (734) 374-1447 in the mayor's office. The Tax Increment Finance Authority of the City of Taylor has approved $750,000 in roadway improvements for Superior Boulevard, between Racho Road and Telegraph Road. The project is tentatively scheduled to begin in about two weeks (during the last week of July) and should be finished by Labor Day. As part of the renovation process, Superior may be totally closed or limited to one-way traffic at times. TIFA funding could be used in this project because that deteriorating portion of Superior (see photo at right) lies in a TIFA district. The street is a major carrier of traffic for the Sportsplex, Southland Center and Kennedy High School. A “TIF” uses future gains in taxes to subsidize current improvements, which are projected to create the conditions for gains above the routine yearly increases which often occur without the improvements. The borrowing capacity is established by committing all normal yearly future real estate tax increases from every parcel in the TIF district (for 20–25 years, or more) along with the anticipated new tax revenue eventually coming from the project or projects themselves. northwest part of the City, south of Ecorse and east of Beech. In addition, Wayne County, Taylor and the City of Southgate combined on the Allen Road rehabilitation work between Northline and Goddard roads. Next year, the county has agreed to move up the repairs of Eureka Road, west of Racho to Allen, to match the Menards’ development coming into the community. Menards is replacing the old Gibraltar Trade Center. Upcoming will also be work on Pardee Road between Eureka and Superior, which is also being supported by funds from TIFA. Mayor Sollars has said that once that TIFA work is done on Pardee (and it will also include sidewalk installation), the City plans to extend those street repairs father north at a date to be determined in the future. For updates on these projects, monitor www.cityoftaylor.com. The Taylor Police Department will be hosting two sessions of its new Youth Police Academy this summer. The first session is from August 10-14 and the second session is from August 17-21. Both sessions will run from 9 a.m. to 1 p.m. each day. The program is FREE of charge and open to Taylor residents entering the 9th, 10th, 11th or 12th grades in September 2015. The program is for high school students with an interest in law enforcement. The 20-hour program is designed to give students a taste of what being a police officer is all about. Students will receive hands-on instruction from officers representing many of the different units within TPD. Members of the Taylor Fire Department and the 23rd District Court will also be participating. There is no cost to the students. T-shirts and lunches will be provided. The youth academy will allow students to practice skills in a positive environment; and provide an opportunity for students to be recruited as interns or future Police Explorers. DEADLINE FOR REGISTRATION IS JULY 26. For more on the program, contract Officer Frank Canning at fdcanning@ci.taylor.mi.us. The Taylor Sportsplex will be starting learn to skate and ice for rent programs beginning Monday, July 20. For more information on programs at the Sportsplex, click here. It is that time of year and the Taylor Summer Academy is in full swing. The Taylor Summer Academy is in full swing. 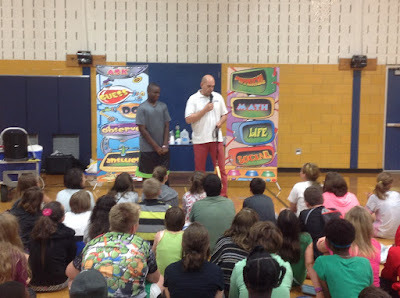 Last week was the first week of the Taylor Summer Academy. Around 200 students going into grades 2-8 are enjoying a fun filled time of learning. Students were able to choose classes such as: Could You Survive in the Wilderness, Discover the Watery Deep, Movie Magic, Wacky Science, Painting with Heart, and more. 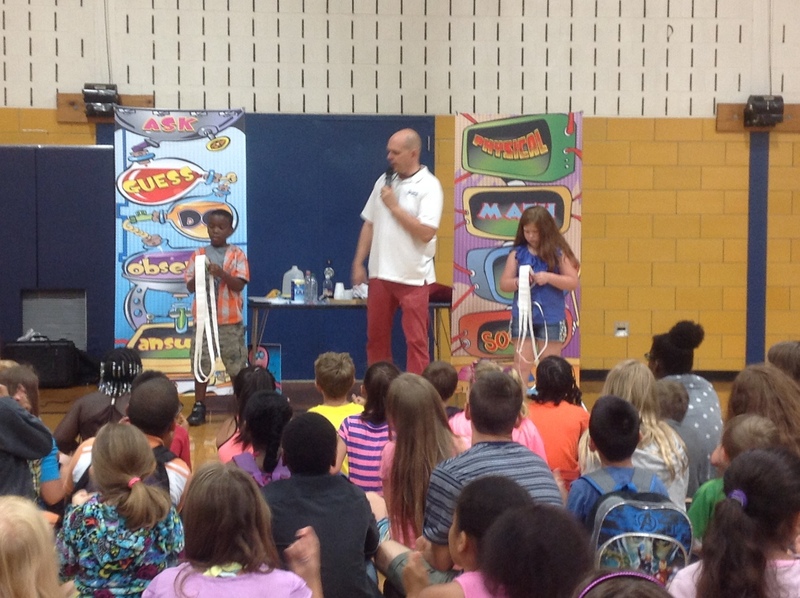 The program ended a recent week with a action-packed and awe-inspiring magic show put on by Doug Sheer, "The Magic of Science." 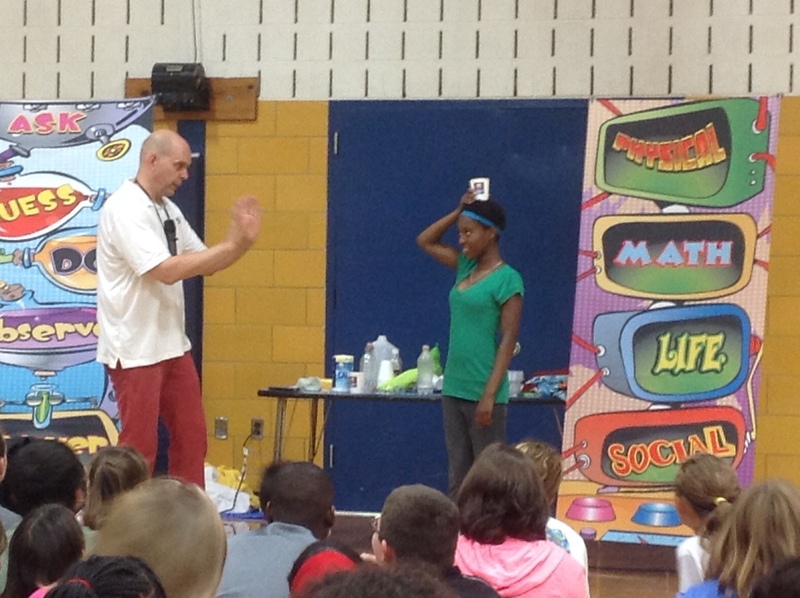 He did his magic tricks and shared some on the science that made many of his tricks possible. Was it really magic, or was ot simply science? 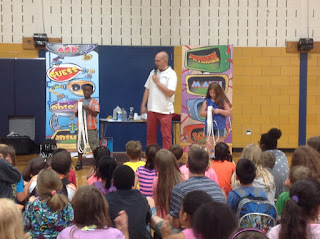 He told the kids that many of his tricks could be explained by science and that they would have to visit a library and read a book to find out how.